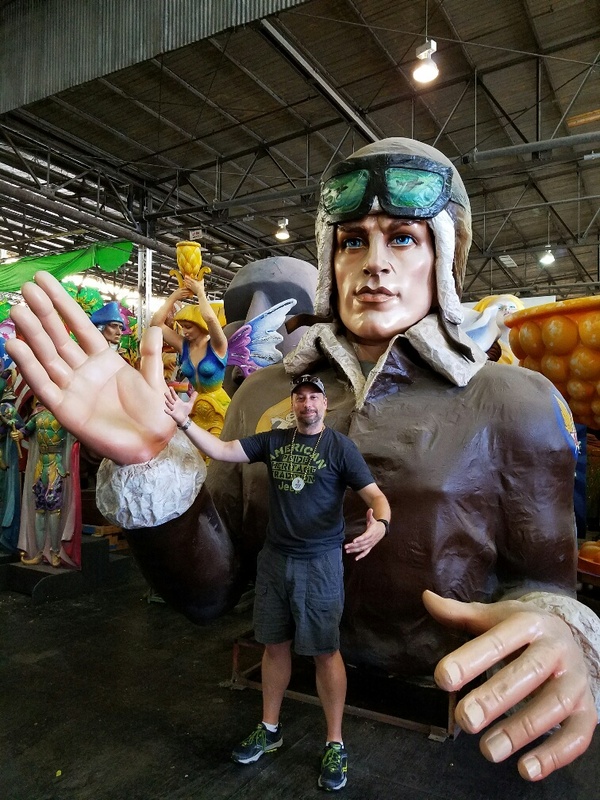 Mardi Gras World – Live MoHo! 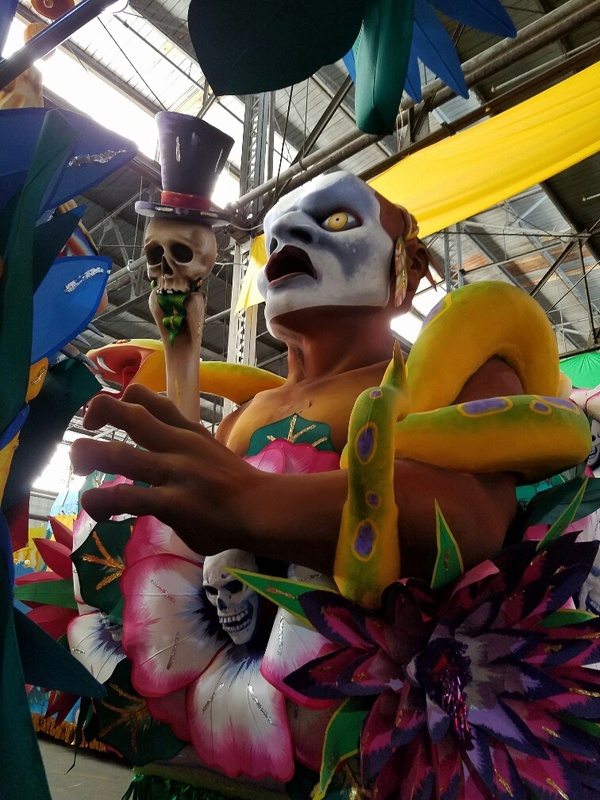 For most people Mardi Gras is the most well known event that happens in New Orleans. 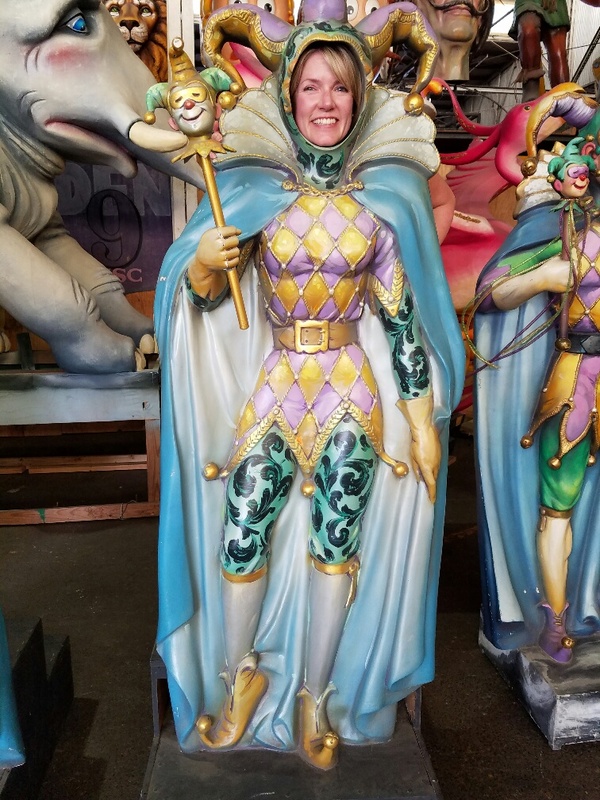 For some people, Mardi Gras is all they know about New Orleans. Either way, its a big deal! 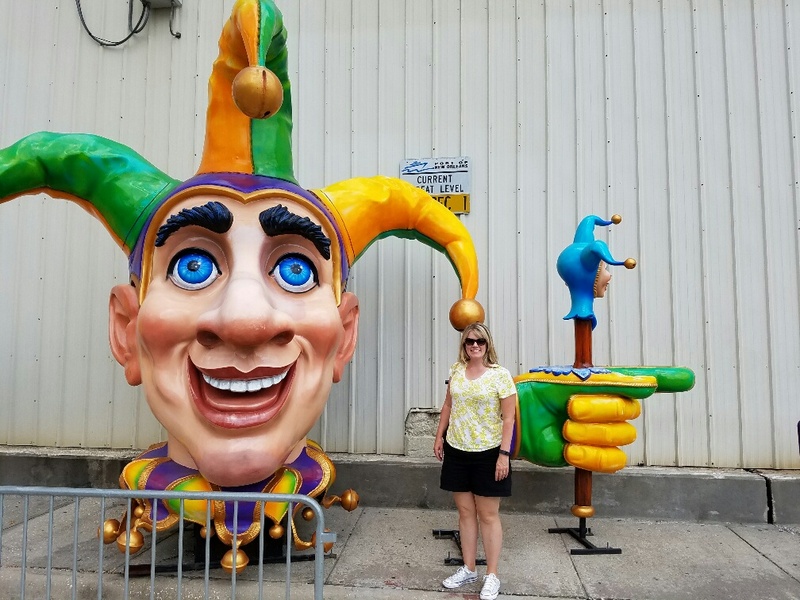 One of the most interesting ways to see behind the scenes of Mardi Gras is to visit Mardi Gras World and see where the amazing floats are made! 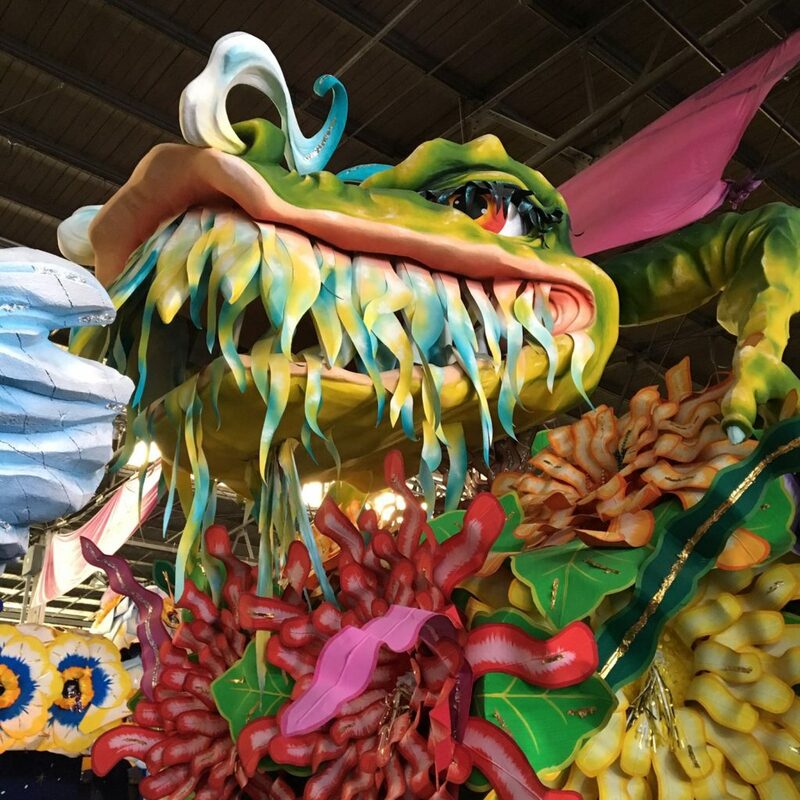 Each of the floats is sponsored by a krewe, which is just a group. Could be a business, a club, a weathy person, or really any bunch of people who have time and money. 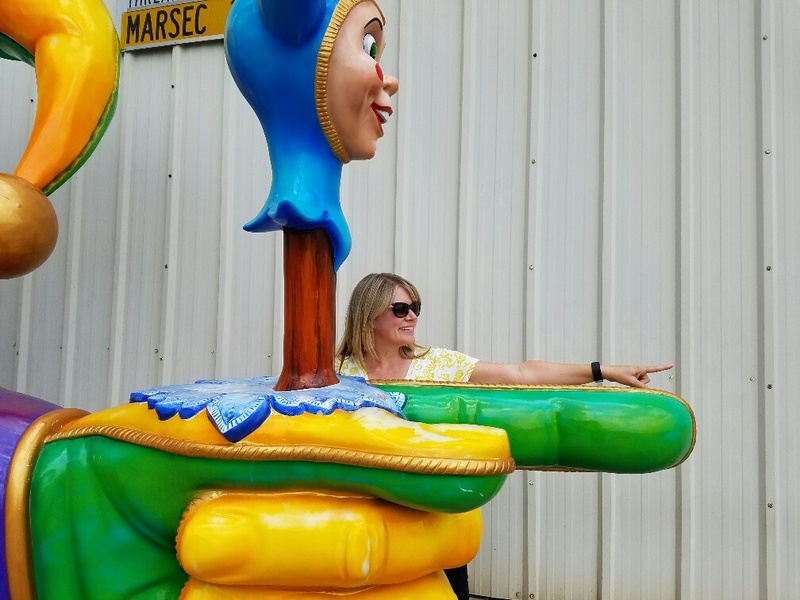 Every year, the krewes must come up with a new float – no reusing the old one. Because of that, the lifespan of a float is a single year. Topping it off with the natural competition between krewes to outdo each other, production quality is very high. Meaning costs are high. So krewes rent the decorations rather than buy them. Most krewes rent them from Blaine Kerne’s who has basically cornered the market on Mardi Gras decorations. They make all the decorations in house and store them in one of their 7 warehouses. We toured one of the warehouses. The size and scale of Blaine Kerne is hard to imagine. They have pre-made and ready for use figures and sculptures of just about every conceivable kind. If what you want is close to what they have, they will modify what they already have at a fraction of the cost of making one from scratch. For example, Queen Kong is reused most every year, but every year she looks different. 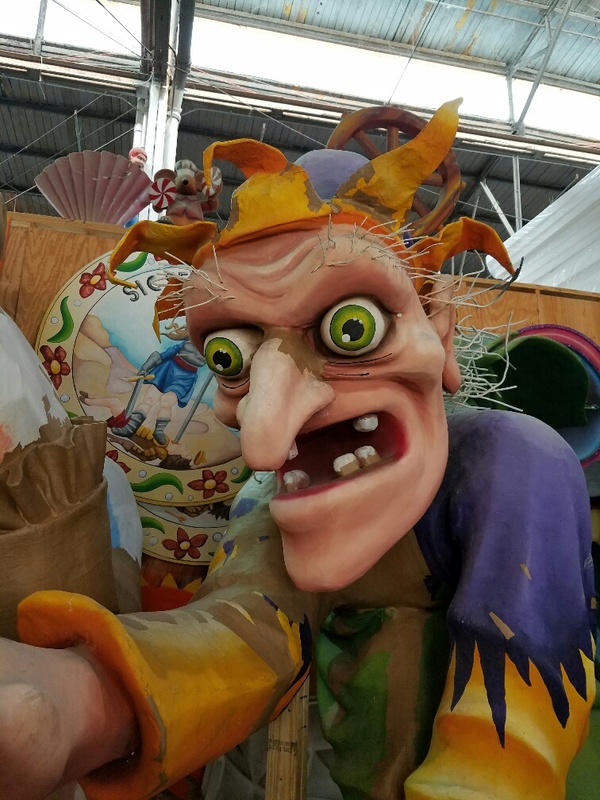 We saw an old witch that was being re-made to fit a new float. You can see the brown paper mache “patches” being applied to fix cracks. Who will she be this year? Many of the existing sculptures are repainted and look completely new. 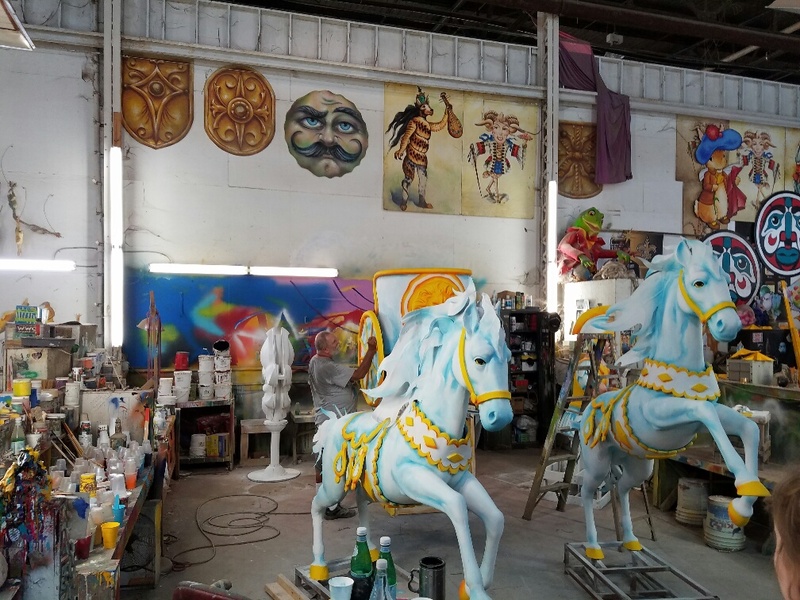 Below in the back you can see a painter making this horse and chariot in blue and orange. 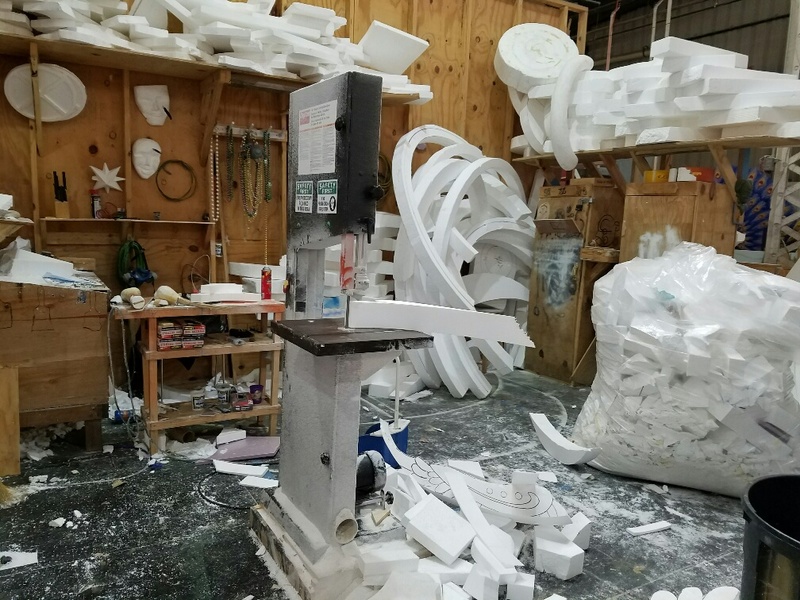 Most of the sculptures are made out of Styrofoam which is hand-cut and formed to meet the designs of the sculptors. From there, the sculpture is covered in paper mache which smooths the surface and makes it suitable for painting. 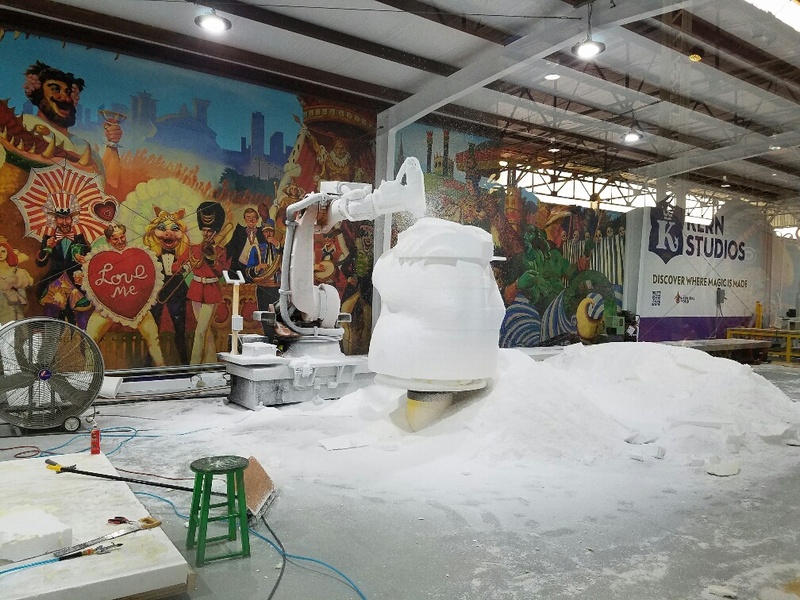 Recently, Blain Kern has obtained a computerized milling machine which enables not only 24×7 output, but mass quantities of identical items. For example, all of the Chick-Fil-A cows are made here. 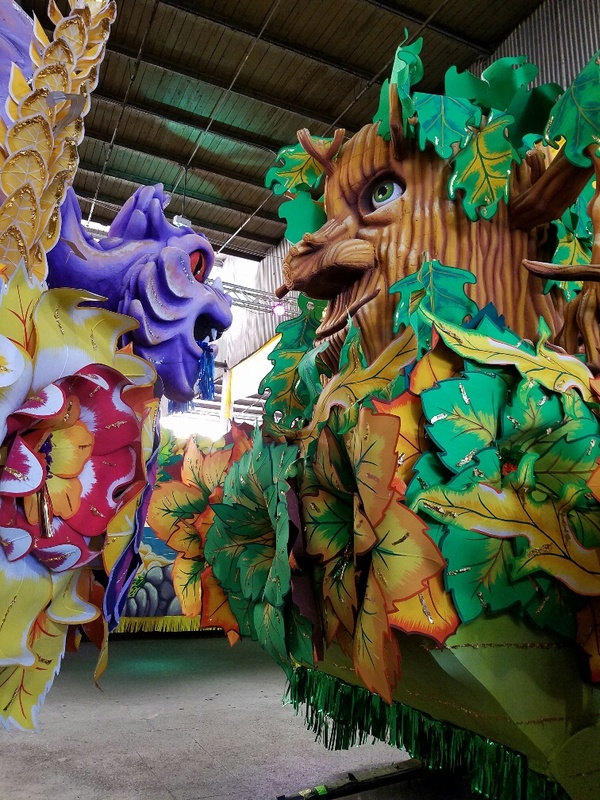 Once sculptures are done, they are added to floats. The floats are amazing! Incredible levels of detail! 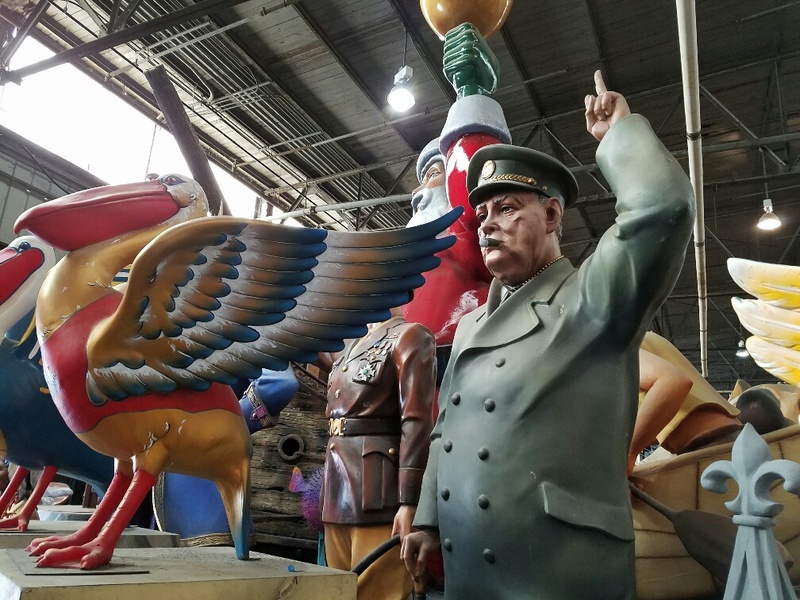 Which is doubly impressive since no float is ever re-used so even if the sculpture is re-used the paint and decorations are new every year. 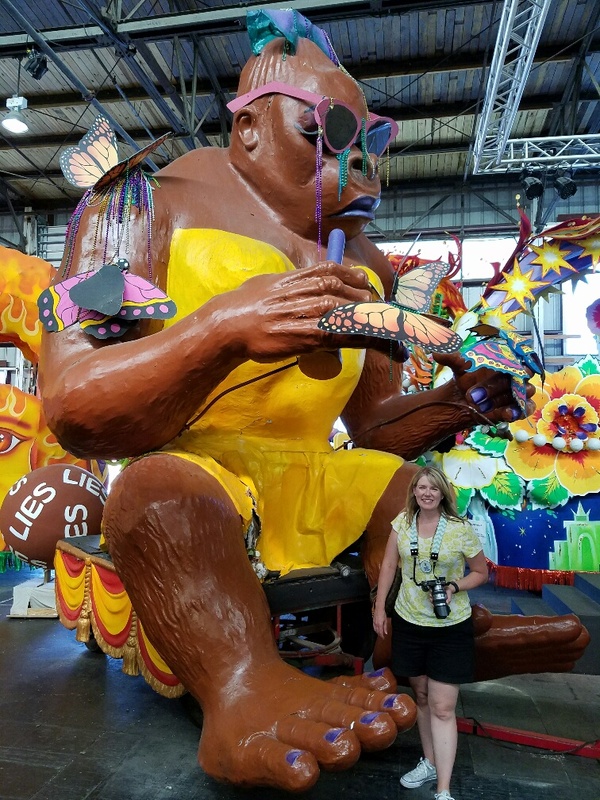 It pays to join a krewe with lots of money. Spots on the floats tossing out beads and other stuff to the crowds START at $1000. That’s $1000 for just that one day. And that’s low end. 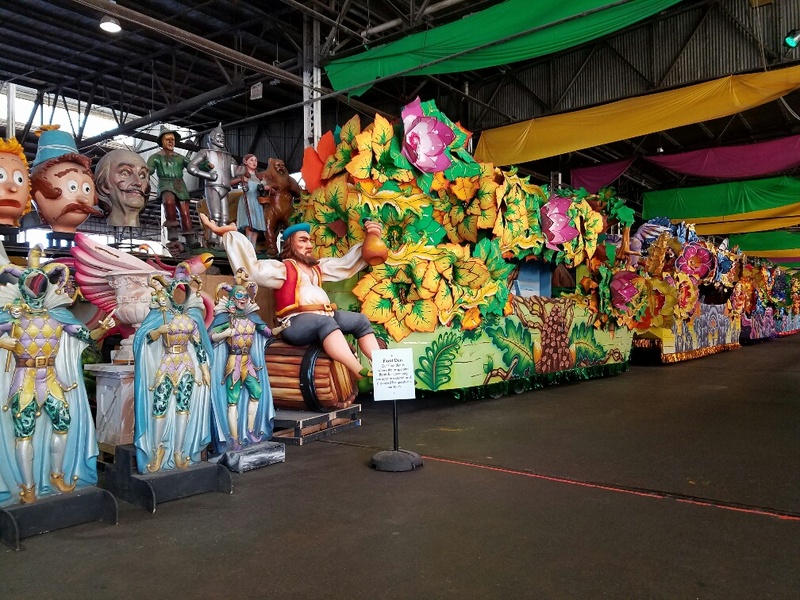 There were line after line of floats, just in this one warehouse. Remember, they have 6 more just like this. Actually those other six are more densely packed since they don’t give public tours of those. The size and scale are hard to imagine unless you see it for yourself. Many of the sculptures are 10 feet or more in height. Of course, we couldn’t resist clowning around a bit. 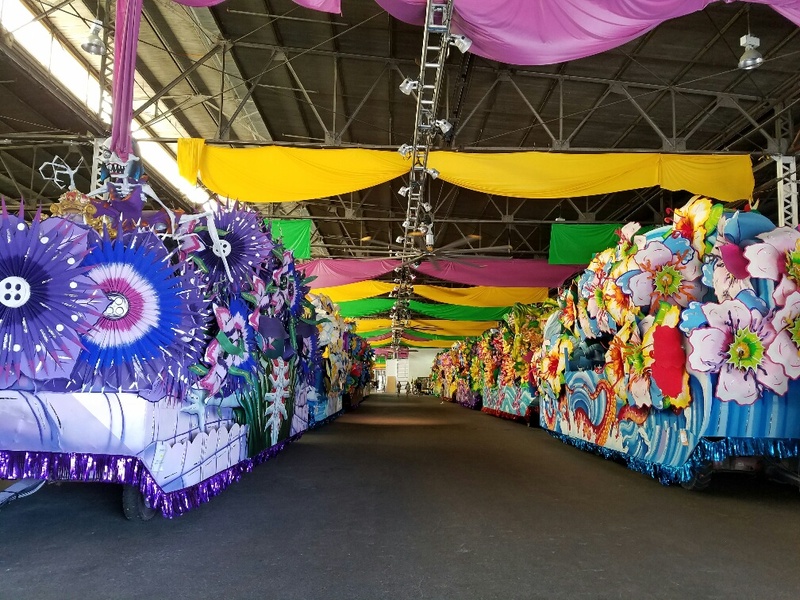 The tour will take about 90 minutes from beginning to end, and it a very unique way to see this part of New Orleans culture. 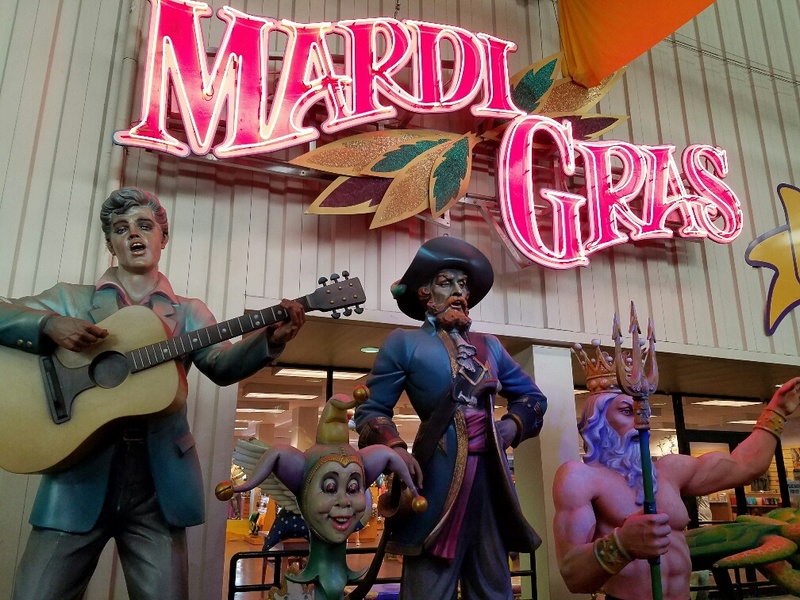 Next Next post: The Big Easy!